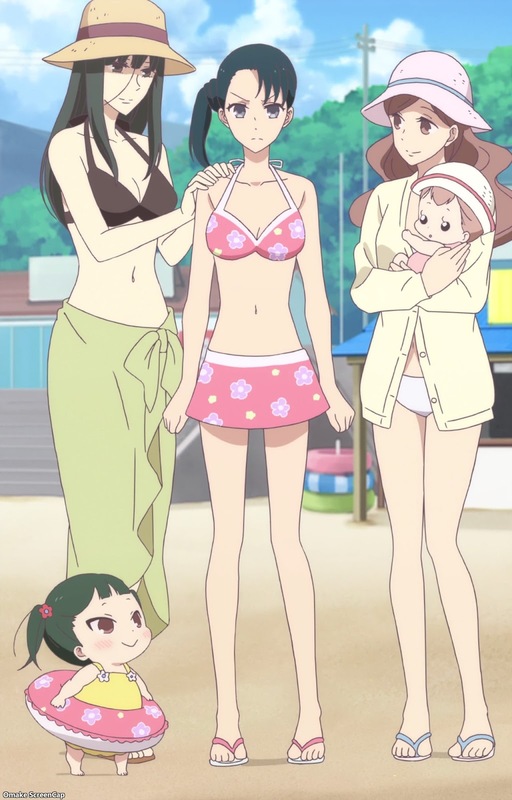 The best part of Inomata's cute swimsuit was how it matched baby Kirin's inner tube. 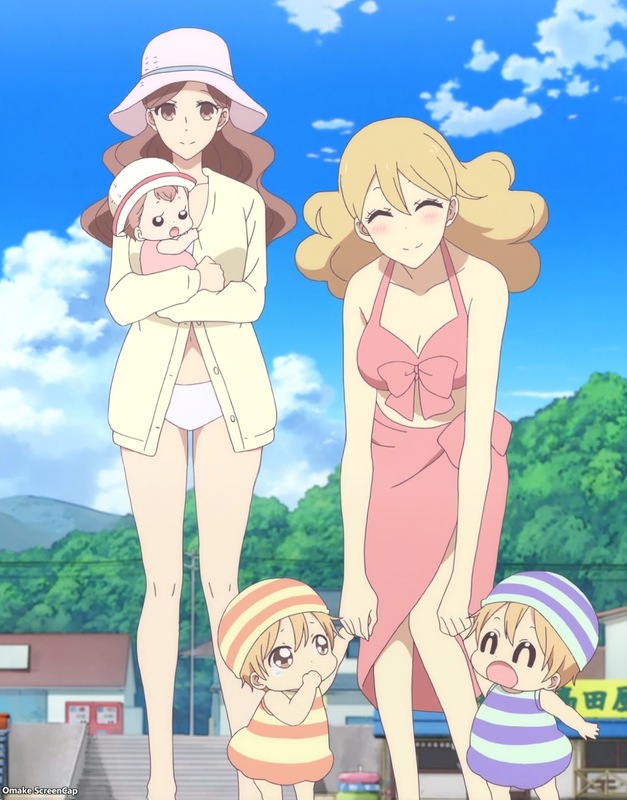 I suppose even a show about babysitting toddlers needs a beach episode, so I was prepared for all the mama-senseis showing skin. I didn't expect them to bring Inomata too!